You may remember it as Obsessions or the Shark bar or Club Splurt, either way, anyone who remembers any of these names would know that for years Chardons Corner has played a massive part in bringing music to the burbs with acts like Mental as Anything and Ratcat hitting the stage here. Hitting it's peak in the 90's Club Splurt, as booked by Rollo from Blowhard, saw some of the biggest names in Brisbane punk, Rock and Metal playing the venue regularly. It was also a regular host of fundraising events for 4ZZZ community radio, like the infamous Beerzzztock in the mid 90's. A few years later saw a decline in the Brisbane music scene and sadly Club Splurt shut it's doors, seemingly for good. For years locals would ask "When are you going to open up that back room?" This question was asked so many times over the last few years, we thought, "We should open the Back Room, but what are we going to call the Back room?" After weeks of agonising, we called it The Back Room. If you love your music live and loud, make sure you head down to the The Back Room and support YOUR local music scene. 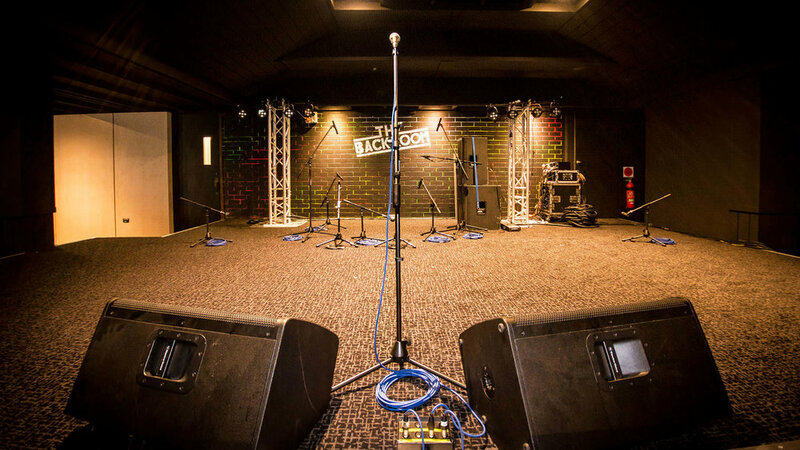 The Back Room is looking for inspiring local bands/artists to join our entertainment team! If you're interested in supporting some amazing live gigs simply fill out the form below to get into contact with our team.